The Kootenai Cabin is the big brother to the Stillwater. The most noticeable difference between them is the barn style roof. A loft is standard on these cabins, giving almost five feet of head room, making for great additional space. The vaulted ceiling in the kitchen and living room is so grand, you’ll think you just stepped into the Westminster Abbey. The Stillwater and Kooten cabins leave our facility completely finished, making for minimal onsite work! 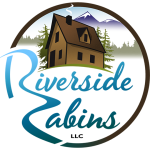 Copyright © 2019 Prefabricate Cabins By Riverside Cabins | Theme by SiteOrigin.